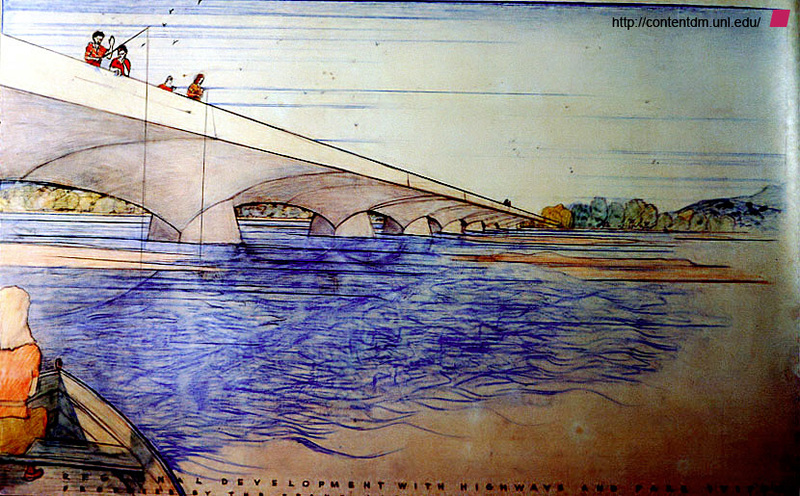 Frank Lloyd Wright’s architecture looms almost as large as his reputation (a reputation built upon both his architecture and his ego and actions therein…). 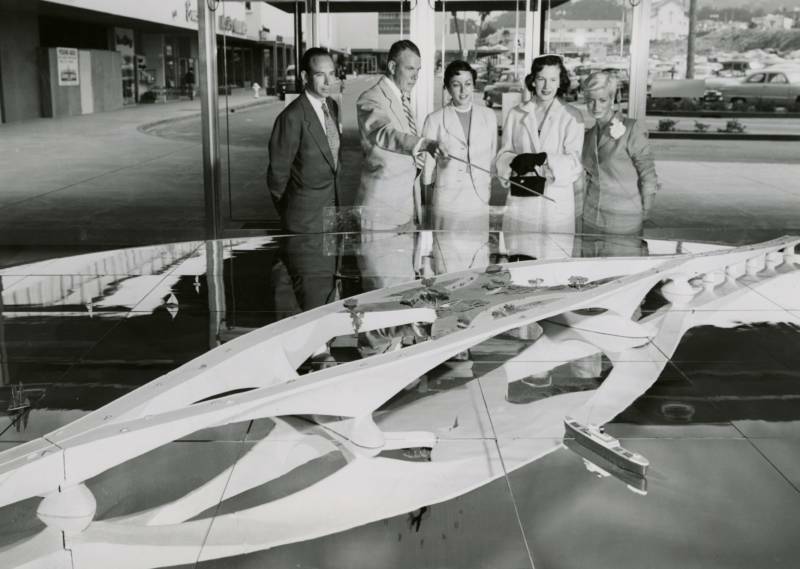 One of the few architects to invent and develop four distinct “styles” during his tenure, each fully developed from a rigorous set of concepts, he designed over 1000 buildings (over 500 of which were built!) over a career that spanned 70 years: homes, commercial spaces, landscapes, industrial buildings, and, as it turns out, infrastructure. 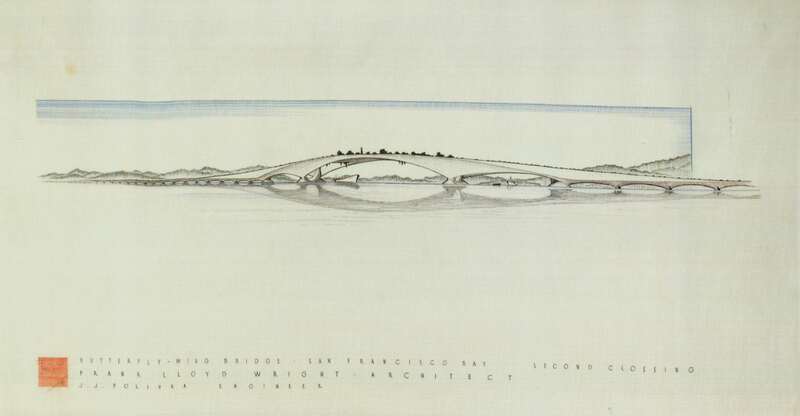 His design for a trans-bay bridge here in the San Francisco Bay area has been making the rounds of late – perhaps surprisingly this is the first I’ve seen of it (from the wonderful 99pi). But I’m already quite smitten by it. 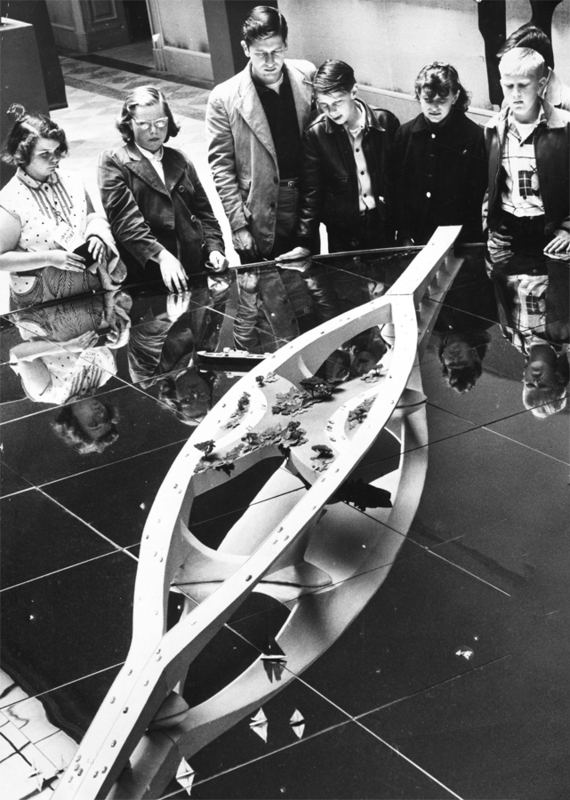 Called the Butterfly Bride, it’s sculptural and sensuous, with fluid lines that belie its highway-sized scale. 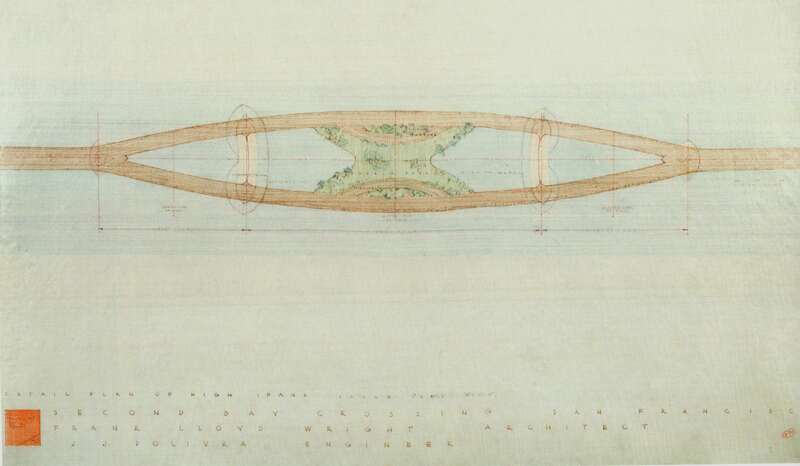 At the apex of the bridge, required for ship passage, Wright placed a large park in the form of the eponymous butterfly, from which to stop, relax, and observe the water and surrounding hillsides. Truthfully, I can’t see that feature being more than a novelty for longer than a year before it falls mostly into disuse, what with all the whirling traffic (folk were much more sanguine about the highway back then). But the arcing forms are nice on their own and could be the starting point for a sculptural feature (which could still be adorned with greenery) as a focal point of the bride and something cool to drive through.